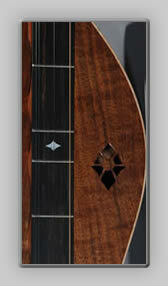 ALL THE DULCIMERS ARE. . .
different one from another. 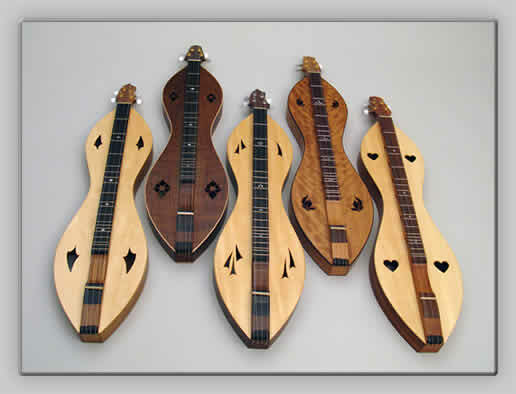 Each dulcimer's construction is guided by the particular piece of wood as well as artistic and acoustic design considerations. 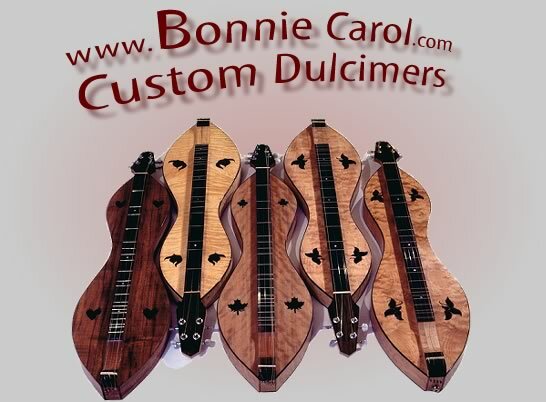 However, Bonnie Carol dulcimers look and sound more like each other than like others, so if you like one, chances are you will like the others. SOME CUSTOM OPTIONS TO CONSIDER . . . Call (303.258.7763), E-mail, or check the current inventory page to see what's in stock, if orders are being taken, and prices on what interests you.